The Thunder .380 is a reliable auto pistol with great ergonomics, controllable power, a perfect trigger pull, and an exceptional price. 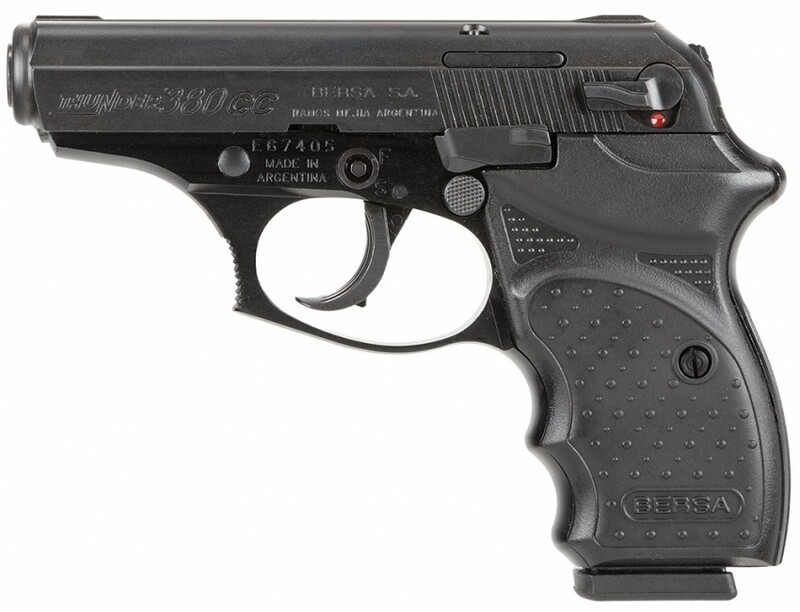 The Bersa handles recoil well, due to the shape and texture of the grip panels and grooved front and rear surfaces of the frame. The pistol also has a hooked and grooved trigger guard, for those who prefer to place a finger in that position. 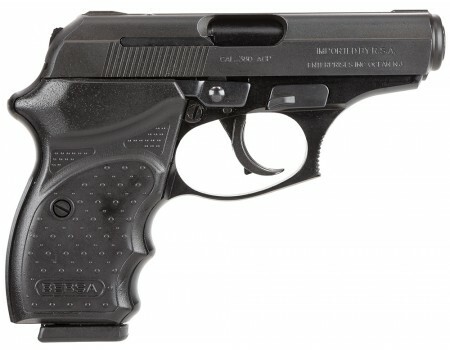 The Concealed Carry pistol features: extra low profile sights, combat style trigger guard, slim slide release, micro-polished bore with sharp, deep rifling, flat bottom magazine, and integral locking system.This model has a black matte finish.